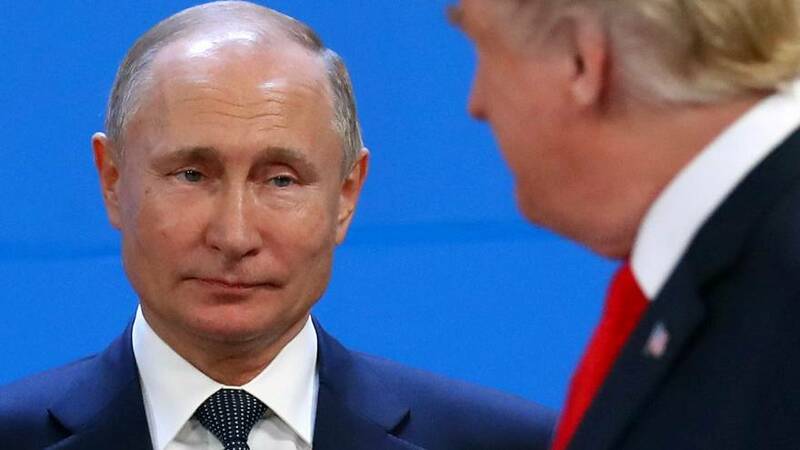 Europeans are more likely to trust Russia's Vladimir Putin and China's Xi Jinping to do the right thing regarding world affairs than US President Donald Trump, according to a survey released on Tuesday. Meanwhile, a majority of respondents in most of the seven countries surveyed by the US-based Pew Research Centre said they trust Germany's Angela Merkel and France's Emmanuel Macron. But the Munich Security Conference, which released the findings, warned that the European Union is "particularly ill-prepared" for what is described as a "new era of great power competition." The German chancellor, who was forced by domestic political headwinds to step down from her party's leadership late last year and vow not to run for her country's top job again, was found to be the most trusted to do the right thing among seven world leaders. She was closely followed by Macron, whose domestic popularity has also taken a dive recently as he struggles to contain the "gilets jaunes" (yellow vests) movement. Yet both were backed to do the right thing by a majority of respondents in every country surveyed — Canada, France, Germany, Japan, the US — bar Russia. Interestingly, respondents in France and Germany favoured putting their trust in the other country's leader. However, while a majority of Americans trust the two European leaders, French and German respondents did not reciprocate. In fact, they were the least likely to believe that US President Donald Trump would do the right thing, with only 10% of Germans and 9% of French people putting their trust in him. Instead, between two and three times more of them believed Putin and Jinping would do the right thing regarding world affairs. Trump was also the only leader not to have a majority of his country's citizens trust him at 48%. At the other end of the spectrum, 81% of Russians trust their leader to do the right thing — the highest level recorded. The report was released ahead of the Munich Security Conference, which addresses international security policy. This year's event, which starts on Friday, comes after both the US and Russia announced their plans to withdraw from the Intermediate-range Nuclear Forces Treaty, which called for the removal of nuclear missiles with a range of 500 to 5,000km from European soil. Wolfgang Ischinger, chairman of the Munich Security Conference, said in the report that "a new era of great power competition is unfolding between the United States, China and Russia, accompanied by a certain leadership vacuum in what has become known as the liberal international order." The report warns that the European Union is "particularly ill-prepared" for such a new area.